The Naccarato brothers were among the first Italians to settle in the Priest River area. 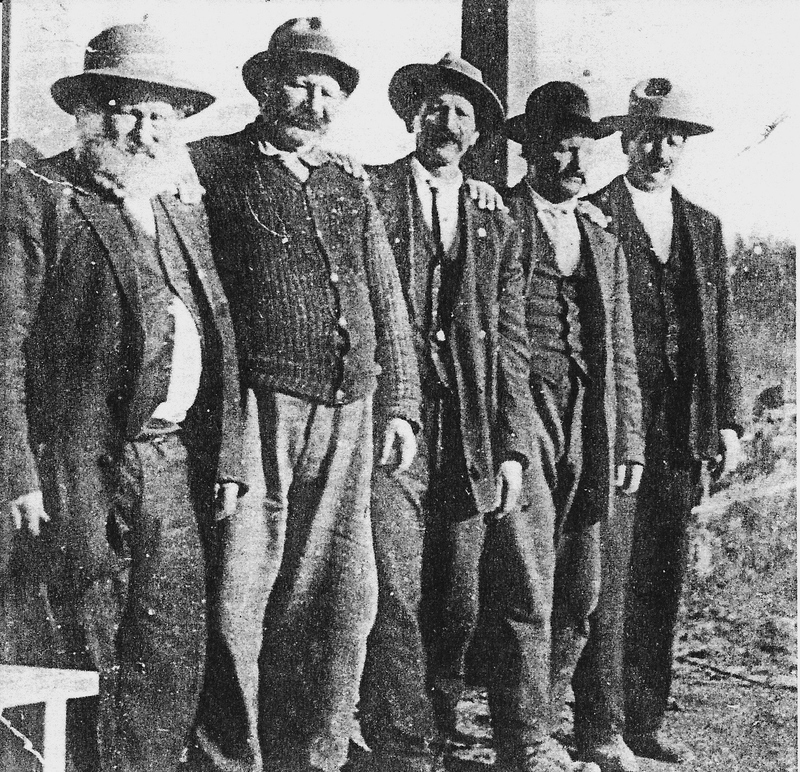 The six Naccarato brothers were some of the earliest arrivals to north Idaho from Grimaldi, Italy. They came to work on the Great Northern Railroad and later became farmers and loggers. This picture of five of the brothers was taken about 1915. From left to right: Michael, Joseph, Charles, Frank and Antonio. Courtesy of Jenny Bossio.